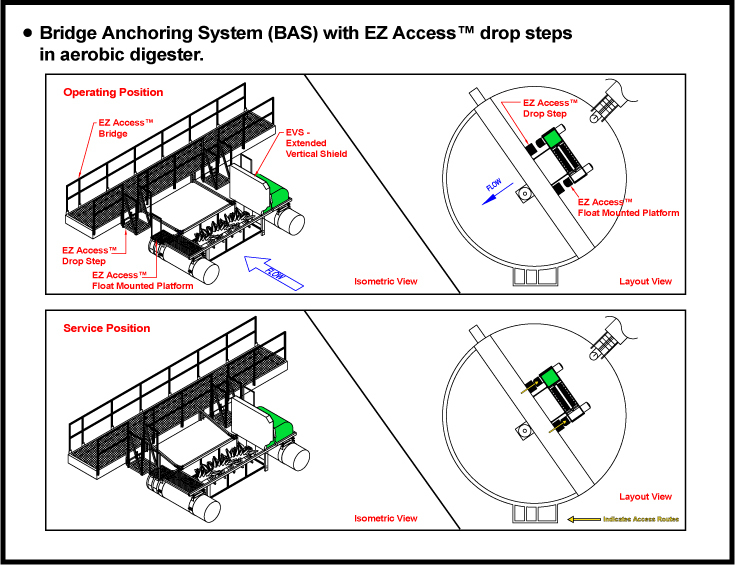 EZ Drawings | S&N Airoflo Inc.
1. 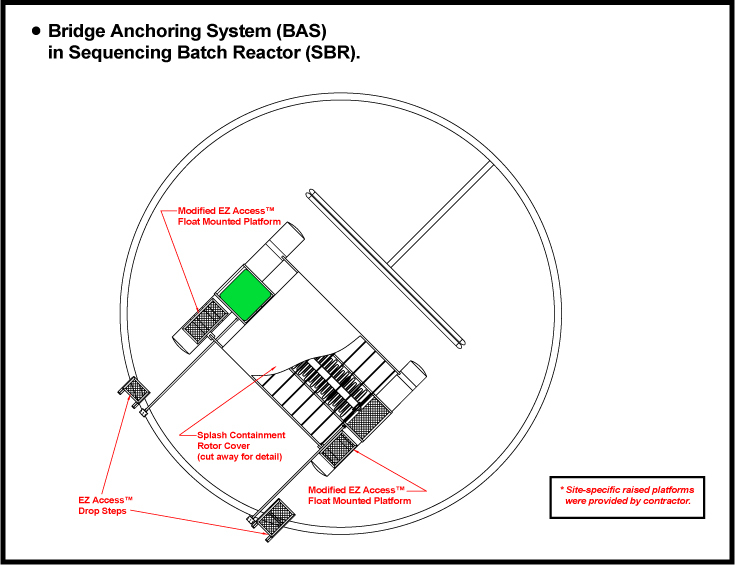 Bridge Anchoring System (BAS) in Sequencing Batch Reactor (SBR) with EZ Access Drop Steps, Float Mounted Platforms, & SCS Rotor Cover. 3. 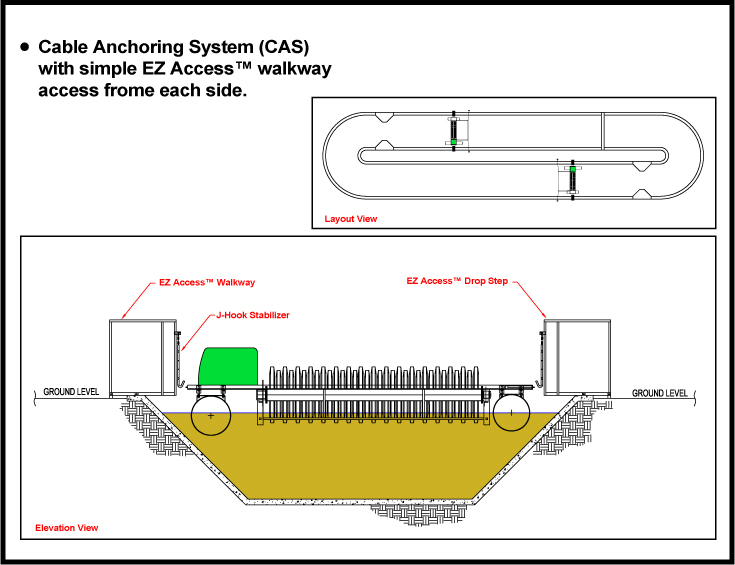 Cable Anchoring System (CAS) with custom-fitted EZ Access walkway. 4. 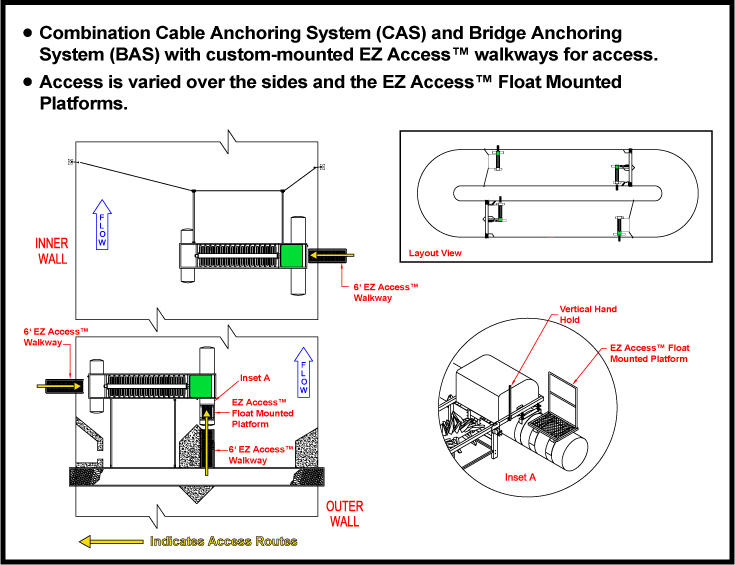 Combination Cable Anchoring System (CAS) and Bridge Anchoring System (BAS) with custom-mounted EZ Access walkways for access. 5. 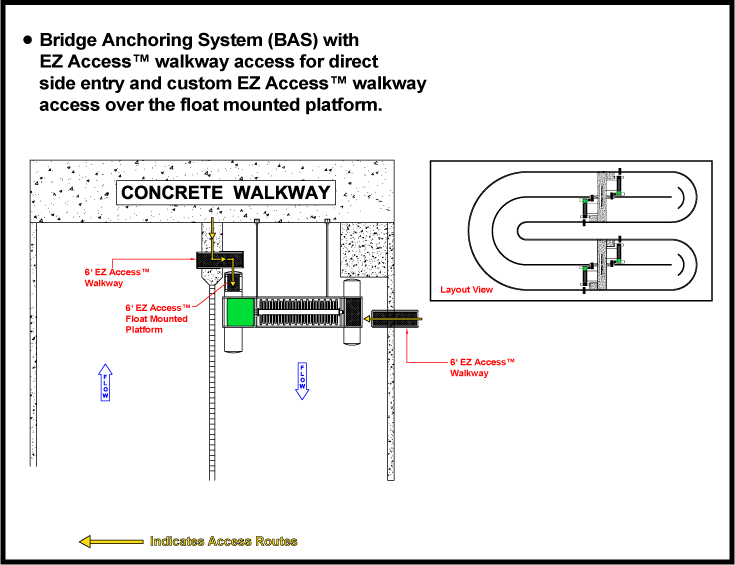 Bridge Anchoring System (BAS) with EZ Access walkway access for direct side entry and custom EZ Access walkway access over the float mounted platform. 6. 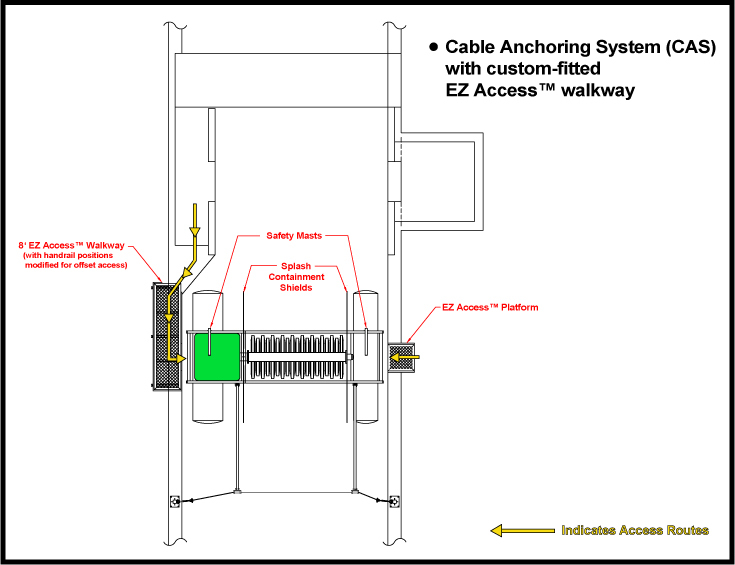 Cable Anchoring System (CAS) showing EZ Access walkways on one side and EZ Access drop step access on the other side. 7. 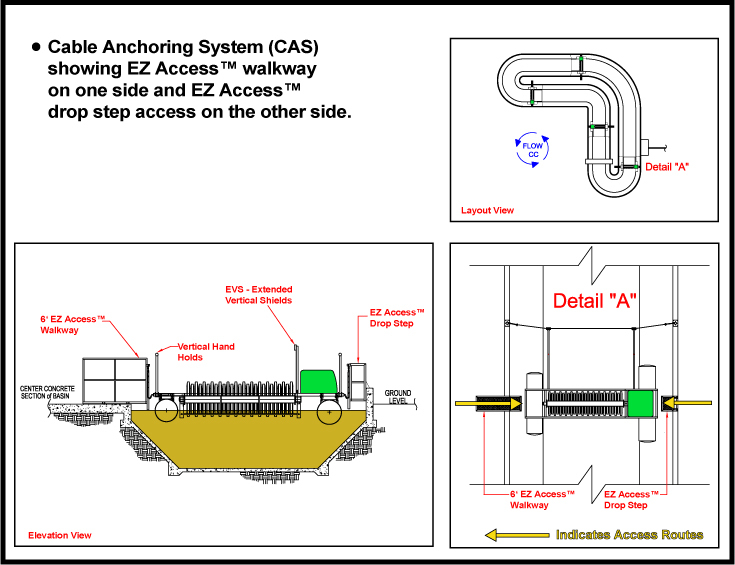 Cable Anchoring System (CAS) with simple EZ Access walkway access from each side.